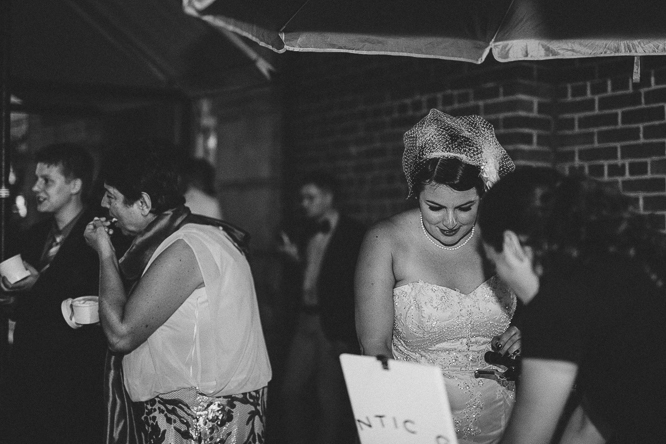 Click here to see part one of this wedding on Toronto Ward's Island. 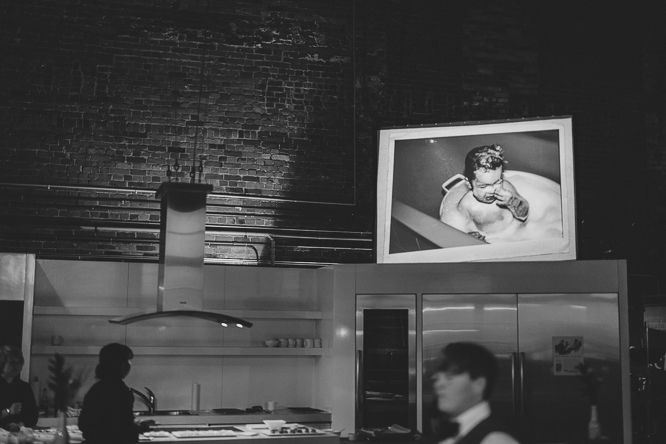 "Ally shot our wedding and engagement and did a remarkable job. She's a talented photographer with a real knack for catching the moments when they occur and documenting events in a natural manner. Neither of us are great or comfortable with posed pictures but Ally put us at ease, rolled with our unconventional wedding and really represented us and our event in all her work, engagement shoot and wedding shoot. 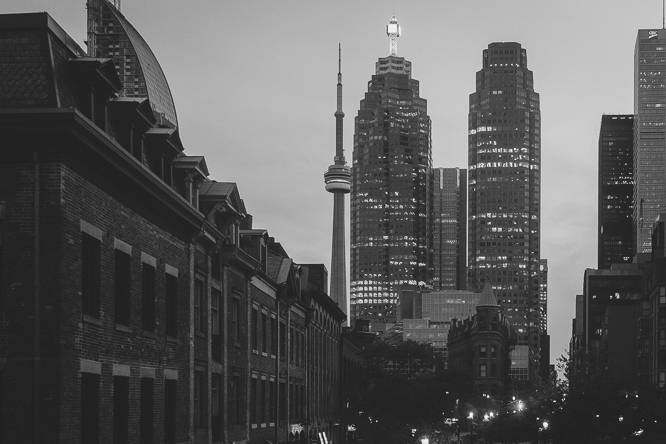 We cannot recommend her enough...she truly is one of Toronto's most talented wedding photographers and will surely gain the fame to match her talent in the near future! Get her if you can!" Thank you Natalie and Alex for leaving me such a sweet review on Google. 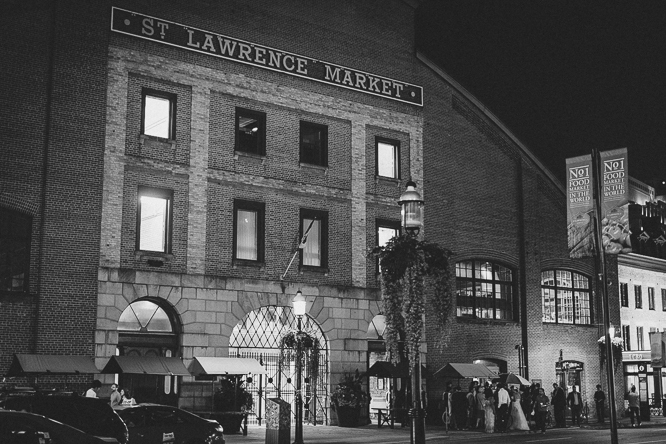 I enjoyed photographing weddings in Saint Lawrence Market. 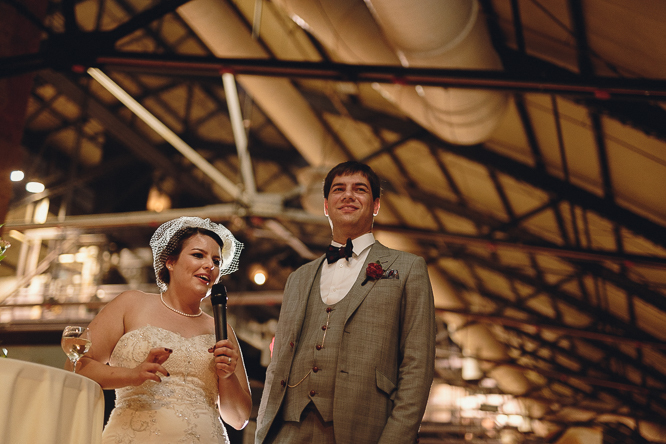 Their wedding reception space in Market Kitchen was intimate and rustic with big vintage windows and brick walls. It's an amazing historical and iconic building. 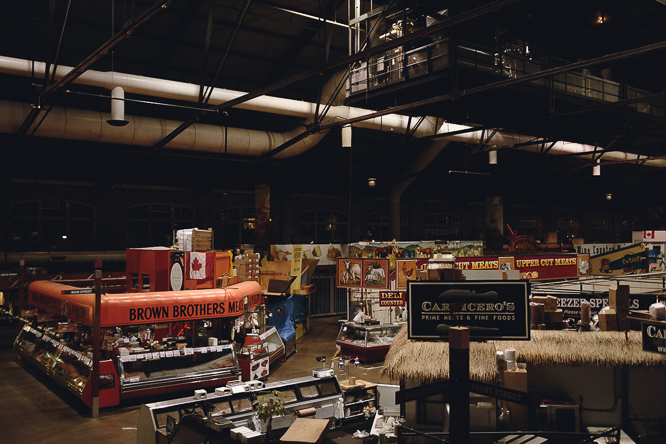 I found it the perfect wedding venue in downtown Toronto for creative couples and hipster weddings. 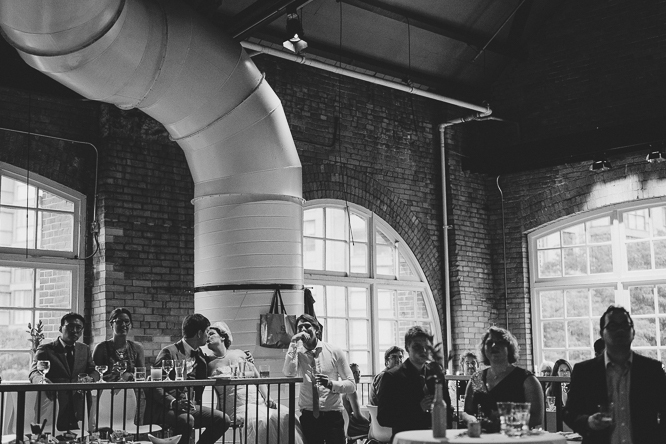 Nathalie and Alex made the perfect venue choice. The two are unconventional at heart and their vintage wedding dress and custom made wedding suit and edgy, DIY decorations blew me away. They had an intimate crowd of off-beat friends and close families which made the space even warmer and cooler at the same time (if this makes sense). 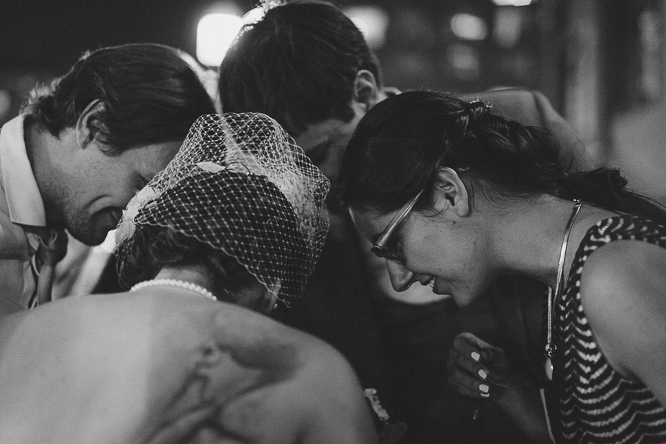 Everything on Nathalie and Alex's wedding day was very much eye-pleasing and heart melting. If you like these pictures, I urge you to also check out part 1 of Nathalie and Alex's wedding featuring their getting ready photos in their sweet home and their ultimate wedding ceremony on Toronto Islands as well as their Kensington Market engagement session. I must admit that I am an advocate for creative wedding ideas and alternative wedding photography that focuses on the people. I don't just support the idea so that one's wedding can stand out and be edgy. I promote the idea because I strongly believe that a wedding should reflect who we are instead of trying too hard to follow the traditions, so much so that it loses a sense of identity. Nathalie and Alex's wedding's so cool not just because it's creative and adventurous but that it tells one a lot about who they are. As featured on Bonjour Bride.